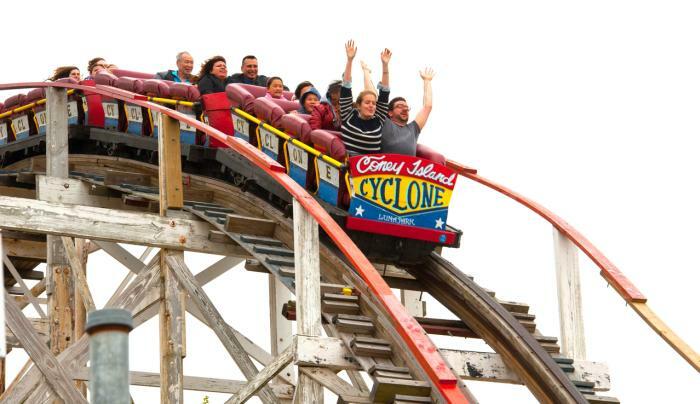 New York City neighborhood with amusement park attractions, rides including the Cyclone roller coaster, sideshows, circus and a museum. 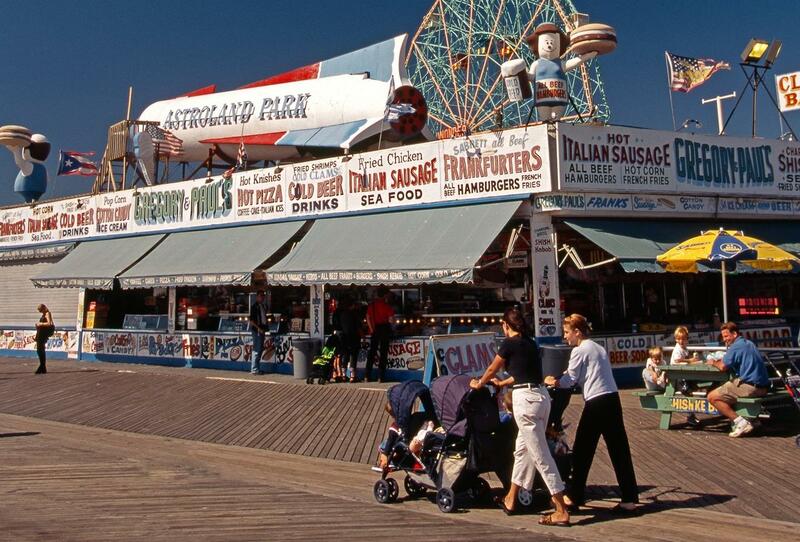 The centerpiece of the Coney Island Boardwalk and the "People's Playground" is Deno’s Wonder Wheel, a world famous NYC Landmark attraction. 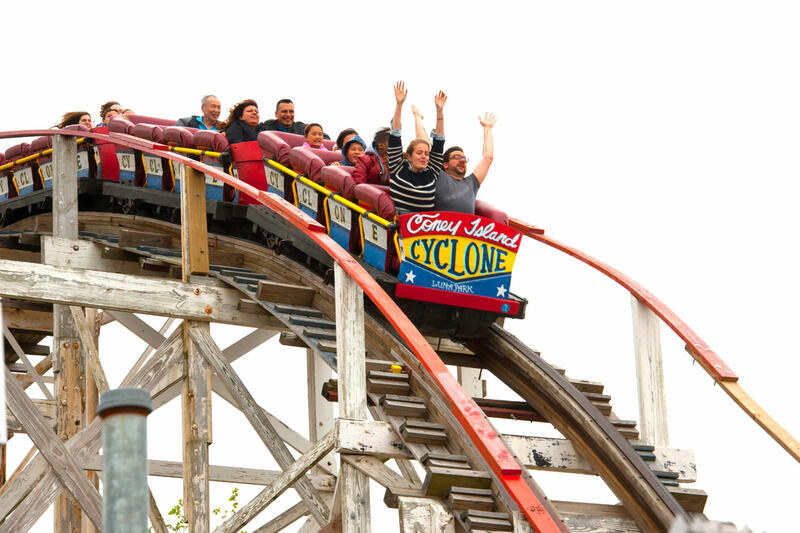 Built in 1920, and in continuous operation with a perfect safety record, over 40 million people have enjoyed this iconic ride. 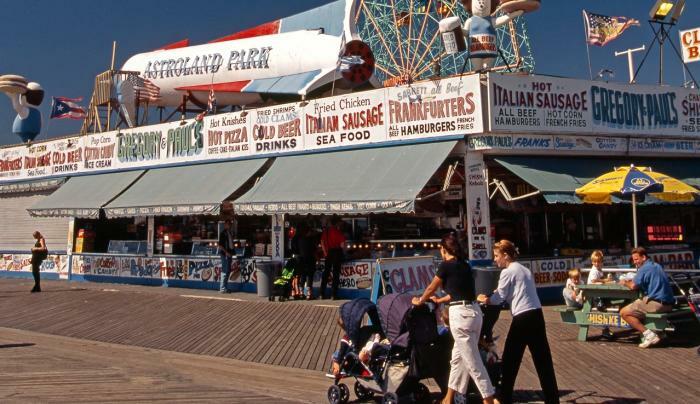 You will marvel at the incredible views from 150 feet high atop the Coney Island beach all the way to the Manhattan skyline. Perfect for all generations and one of the most romantic rides in the world. A Path Through History attraction.